Firstly, thanks for visiting! 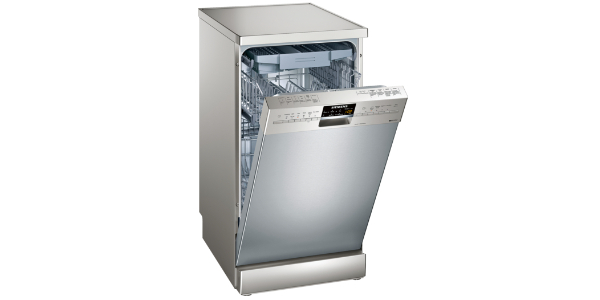 I hope we can make your search for a new dishwasher as quick and painless as possible. My name is James and I’m the editor of this site. I’ve been reviewing appliances for several years now having struggled in the past to find concise buying information online and feeling there was a need for a site like this. Don’t get me wrong – I’m not saying there is a shortage of information on the internet – if anything there’s too much. The problem I found was wading through all the dishwasher reviews to come out with a shortlist and ultimately pick the best option for my budget. Surely, if you know you have, say £300, to spend it shouldn’t be that hard (or time consuming) to find the best option, or at least narrow it down to 2 or 3 possibilities? 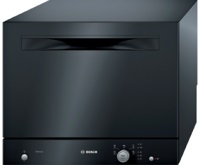 My aim is to list all the best-selling and top rated UK dishwashers on the market in 2017 and then make recommendations of what I would buy given various budgets and criteria (ie Do you want a freestanding or an integrated model? Slimline or standard width?). You’re then of course welcome to do as much, or as little, further research as you like but at least I’ll hopefully have pointed you in the right direction. So, without further ado, below are the machines I think you should definitely take a look at. 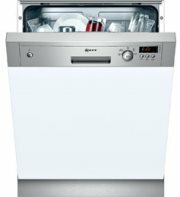 I’ve broken down our recommendations for each dishwasher type by price, as most people tend to have a rough budget in mind, but I’d still recommend taking a look at both lists as you might find that there’s a great machine that is just a small amount over budget but ticks all of your boxes. 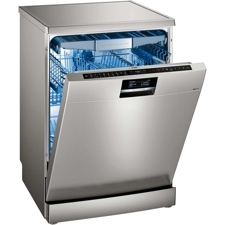 Which are the best standard size dishwashers? And the best slimline models? 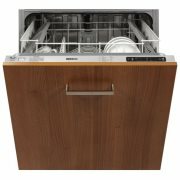 Follow these links for the best slimline and integrated slimline dishwashers or use the ‘Best Buys 2017‘ tabs above for more options. 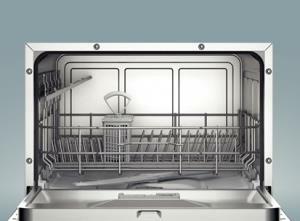 If you’re not quite sure what sort of dishwasher you’re looking for, below is an explanation of each of the main types. The primary consideration really is, what size space do you want the machine to fit in? If you have enough room for a full size (known as ‘standard’) machine these are your options. 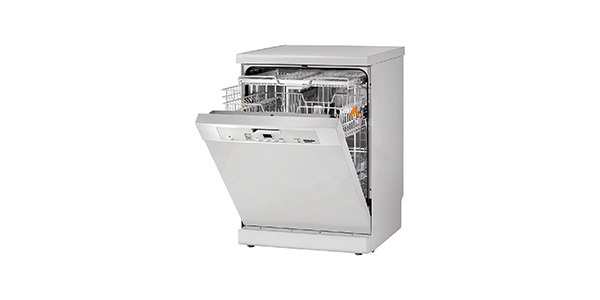 A standard size freestanding dishwasher (like the example shown left) is 60 cm wide and at approximately 85 cm high is designed to fit under the vast majority of kitchen worktops. The depth of various models varies but will most likely be about 60 cm. A machine like this will be designed to wash 12/13 place settings (a place setting being a dinner and dessert plate, soup bowl, tea cup and saucer, glass and cutlery set. Click here for more info about place settings). This is a very popular choice as these machines have a large capacity and can be very reasonably priced. 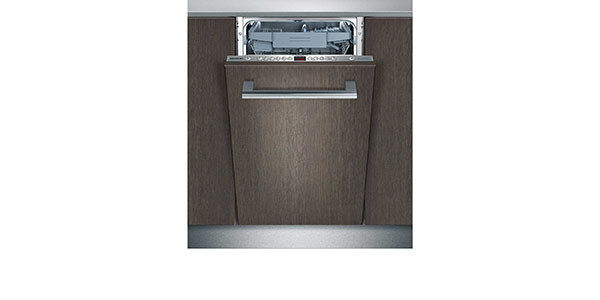 Integrated (also known as built in) dishwashers are designed for use in fitted kitchens. They slot under the kitchen worktop just like freestanding models but they have a fascia panel mounted on the door (please see the example on the left) to make the appliance blend in seamlessly with your other kitchen units. If you’re having a brand new kitchen installed this is almost certainly an option you’ll want to consider as this can really enhance the look of the end result. You’ll pay a little more but the results really can be worth the extra investment. They tend to be more expensive than freestanding models. They can be harder to fit. You’ll probably need a professional to attach the door fascia as they can be tricky but this shouldn’t be an issue if you’re having a whole new kitchen fitted. 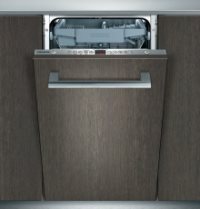 Another great option for fitted kitchens is a semi-integrated dishwasher (also know as a semi built in dishwasher) like the example shown on the left. Semi Integrated machines are similar to integrated ones in that they have a fascia panel matching your other kitchen units mounted to the door so the unit blends in nicely. The difference is that there is a small exposed panel (normally at the top) where the controls of the machine are visible. The benefit of this is that you can see the display, for example, to find out how long a washing cycle has left to run. Also, the controls tend to be a little bigger than if they were embedded in the top of the door, so can be easier to use. Like integrated units, these tend to be a little more expensive than free-standing models. 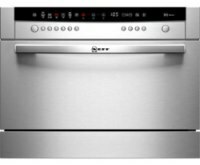 Ultimately it’s really a question of taste as to whether you think one of these might look better in your kitchen than a fully integrated model. If you’re spending a fortune on your new kitchen and opting for top-of-the-range Miele appliances you might like the idea of the branding being visible – there’s no point spending an arm and a leg on top class appliances then hiding them away, right? Or maybe you find the controls in the top of the door a little fiddly to use? Either way, semi built in machines are an option you may want to consider. 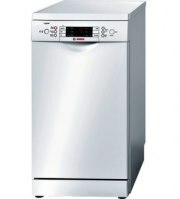 Freestanding slimline dishwashers, like the example shown on the left, are pretty much exactly the same as standard freestanding models except for their width (and corresponding capacity) which is normally in the region of 45 cm. This can be a great option if you don’t have the room for a full size machine, or for smaller families who just don’t need the extra capacity. You’ll find that slimline (sometimes known as ‘narrow’) models are a bit cheaper than their regular sized counterparts but the savings aren’t always as big as you might think – you won’t be paying half the price for example. The technology that goes into the machine is, of course, exactly the same and, if anything, squeezing it all into a smaller package is harder hence the savings aren’t massive. Having said that, if a narrow models suits your needs they can be a great addition to any kitchen offering all the functionality you need in a very space-efficient package. They will normally handle around 9 or 10 place settings which isn’t that much less than the average standard-sized machine (at around 12-13) so you can still get a substantial amount of washing up done on per load. 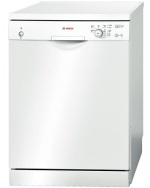 An integrated slimline dishwasher (also known as a ‘built in’ slimline or narrow dishwasher) is, as with the standard-sized version above, simply an appliance that is fitted into your kitchen units and which has a fascia panel affixed to the front to give the impression of being ‘just another cupboard door’. These look very smart and maintain the nice clean lines of a fitted kitchen. If you’re having a new kitchen installed and are going for the ‘fully-fitted’ look this is most likely the way to go. The only real difference between a slimline and a standard model (other than the slightly inflated price) is the width – a slimline models is normally about 15 cm narrower than a full size model. The capacity will obviously be smaller too, normally 9-10 place settings instead of 12-13. For most small families a narrow machine will be more than adequate and will leave you more room for additional storage if space is at a premium. 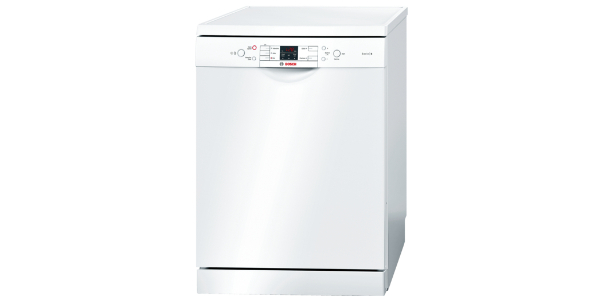 A compact integrated dishwasher, like the rather fancy Neff shown here, is similar in size to a table top model but is built into your kitchen units in the same way as other integrated units. The height is likely to be in the region of 45 cm so it’s approximately half the height of a standard unit (normally fitted at the top with a cupboard beneath). You won’t find a huge number of these on the market as demand is pretty limited but they do exist and serve a need for people who really can’t find the space for anything bigger. You’re unlikely to choose this over a larger model to save money as they tend to be a little more pricey (the model shown is over £450) so available space really is the key consideration when choosing this option. Functionality-wise the model shown will handle 6 place settings which isn’t inconsiderable, but is still about 40% less than a slimline model so you won’t fit a huge volume of washing in but for a single person or a couple it would most likely be perfectly adequate. You’ll struggle to fit large pans / baking trays etc in alongside your plates though and this can be an inconvenience. 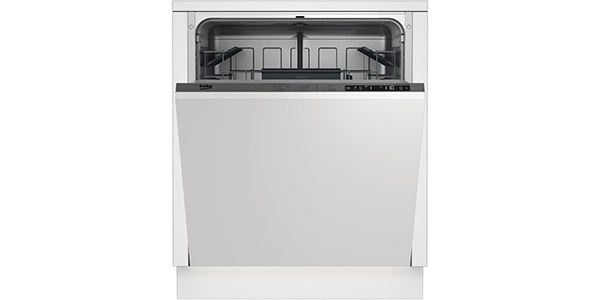 To sum up, not an option that would suit most people but worth considering if you’ve completely maxed out your available kitchen unit space but still really want a dishwasher. Table Top dishwashers (also known as ‘Counter Top’ or ‘Compact’ Dishwashers) are small freestanding units that you can install in any kitchen where you have some free worktop space. They take up about the same space as a large microwave so are are generally not too difficult to accommodate. Capacity-wise, a compact model can generally handle 6 place settings, which should be more than enough for a single person, couple or small family. You don’t have enough space for either a standard sized or integrated machine. You’ll find it difficult to bend down so loading & unloading at counter level is more comfortable. You have a small household and don’t think a larger machine is justified. One of the main questions we get asked about counter top models is how easy they are to install/plumb in and what is involved? Most models come with a kit which will enable you to use your kitchen tap as a water source and will have a waste hose which you can simply position into your sink for waste water to escape. This won’t exactly look ideal but has the benefit of being minimal hassle if you want to get up-and-running ASAP. You will also have the option to plumb your machine in on a permanent basis exactly as you would with an under-counter model. If you’re a competent DIY’er you can most likely do this yourself. If not you’ll need to get a plumber in to do the install for you but it shouldn’t be oppressively expensive – just get a few quotes from local plumbers before going ahead. They will need to drill a hole in your worktop to run the pipes through and then hook into your existing pipework for either your sink or washing machine. Obviously the closer you locate the unit to one of these the easier/cheaper the job will be. As with compact ‘integrated’ models this is unlikely to be a super-cheap option so is only really worth considering if size/space (or height) is an issue. Having said that, if this type of machine does suit your needs there are some very fine options on the market which are well worth a look. Once you’ve decided upon the dishwasher you want to buy, you’ll want to make sure you get the best deal you possibly can! Fortunately, the growth of the internet has made pricing more transparent than ever and you can now compare prices at a wide range of online stores in a matter of seconds. 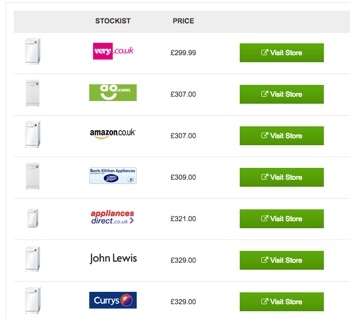 Here at DishwasherReviews.co.uk we now provide comparison pricing charts (like the example you see on the left) with each of our reviews which will let you see in an instant which online store is cheapest. Currently we compare prices at Amazon, ao.com, Appliances Direct, Argos, B&Q, Boots Kitchen Appliances, Co-op Electrical Shop, Currys, Electrical Discount UK, Hughes, John Lewis and Very. Our prices are updated every morning at 5am so they are always up-to-date. We do however recommend you click through to the retailers’ sites just to check the very latest deals as sometimes stores run flash sales etc. Please bear in mind that (unless stated otherwise) the prices we publish relate to online deals and sometimes stores like Currys, John Lewis etc might have different offers in their stores. As a general rule you’ll find internet prices to be cheaper, but you will sometimes find better end-of-line and clearance offers available in-store. To be on the safe side (assuming you have the time) you can always pop down to your local store or give them a call to be sure you’re not missing out on a cracking deal. So hopefully the information above will have given you an idea of what the most suitable type of machine will be for you. Please feel free to consult our buying guides for more factors you might want to take into account when making your final decision (ie How much will your chosen model cost to run? Will it be noisy? Will it last forever or break 10 minutes after the plumber leaves your house?). 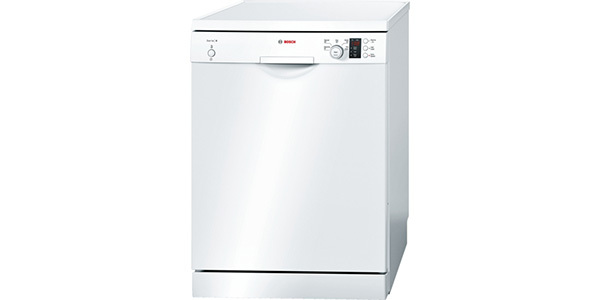 You’ll find that we tend to focus our attention on appliances that are generally well-regarded (rather than go into vast detail about the ones to avoid) so most of the dishwasher reviews you’ll find here are pretty decent – your personal circumstances will then dictate which might suit your needs and budget. 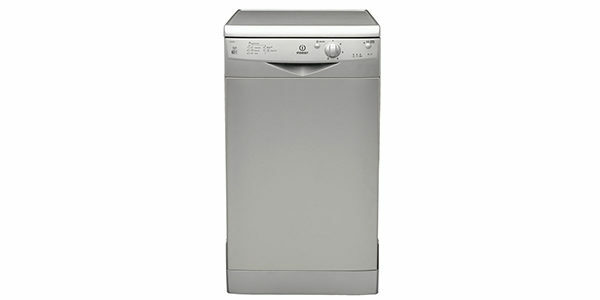 If you’re in a hurry and just want to compare some of our Best Buy dishwashers you can do so here. See all key features at a glance and find out which models pack in the most features for the least cash. Good luck with your search and please feel free to get in touch if we can help further.